4” 6” 8” & 10” round tiers. Handmade sugar ruffles. 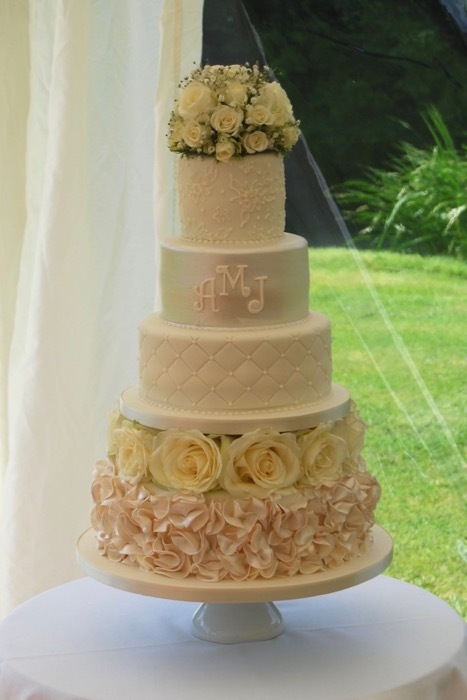 Royal icing piped lace and quilting detailing. Hand painted edible lustre tier with sugar monogram. Tiers separated with fresh flowers and fresh flower topper.